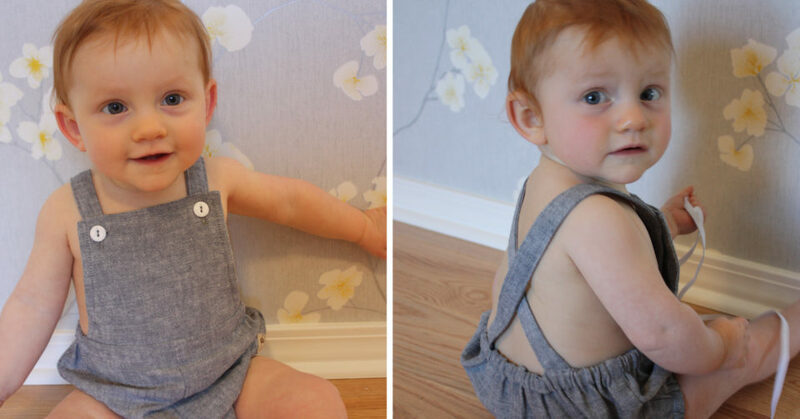 Learn how to turn a bloomers pattern in overalls with this step-by-step photo tutorial. The end results are adorable bloomeralls! Would you like to add a lace ruffle detail to your Liesl + Co. Afternoon Tea Blouse? Here’s a simple tutorial that will show you how you can do it. Learn how to turn a pants pattern into shorts with this step-by-step tutorial. Learn how to draft trouser pockets with this tutorial. This will demonstrate how to make slant pockets on the Liesl + Co. Hollywood Trousers. As part of our Advisors Circle, Lisa is here to share her tutorial on how she made a romantic version of the Liesl + Co. Neighborhood Sweatshirt. Come and have a look. It’s gorgeous! This tutorial shows you how to insert an invisible zipper. If you follow this method to insert your invisible zipper, you will get perfect results every time! This is a nice micro modification on how to add elastic at the hem of the sleeves on the Liesl + Co. Afternoon Tea Blouse. With the sleeves gathered at the hem, it gives it a totally new look! As part of our Advisors Circle, Lisa is here to share her tutorial on how she added heirloom techniques to the Liesl + Co. Afternoon Tea Blouse that she made for herself. Learn how to change the Liesl + Co. Neighborhood Hoodie into a pullover hoodie with this tutorial. Learn how to add a cute flounce detail to the sleeves of the Liesl + Co. Neighborhood Sweatshirt using this tutorial and our free, downloadable pattern piece. Learn how to make a t-shirt dress with t-shirt sleeves as the ties at the waist. Shelley is back with a micro hack using the Building Block Dress Book. Learn how to add an exposed elastic waistband to a skirt. Thanks to Anna we have a nice tutorial on the tuck and fold technique. It looks fantastic on the Oliver + S Popover Sundress! Your most recent photos posted to the Oliver + S Flickr group. The most recent photos from Oliver + S on Instagram.